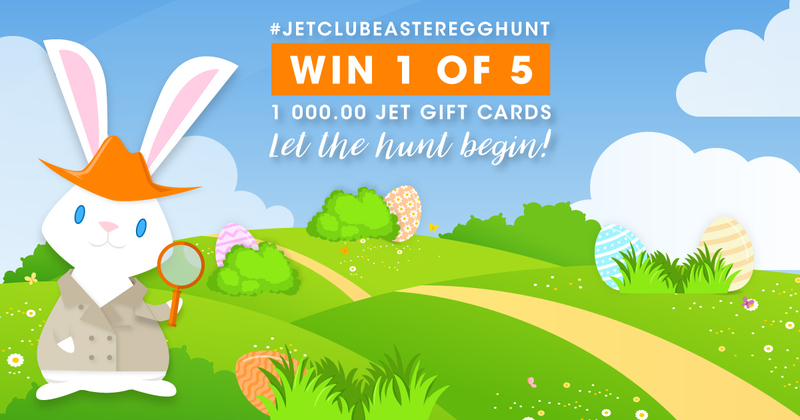 We want to see who is the best Easter egg hunter is in the Jet Club Family! For the next five days, we’ll be hiding an Easter egg on the Jet Club website. Find it and you could stand a chance to WIN a daily gift card from Jet to the value of 1 000.00! 1. Use the daily clues on Facebook as a map. 2. Visit www.jetclub.co.za and start hunting! 3. When you find the egg, click on it and fill in your details on the competition form.